Daley Plastering and Building is a third generation family run business which has been in operation since 1952. We offer a wide range of plastering and building services to both domestic and commercial clients throughout Sheffield and the surrounding South Yorkshire area including Rotherham, Chesterfield, Barnsley and Doncaster. Our clients include homeowners, landlords, property developers, builders and insurance companies. Our professional building services include all types of plastering, rendering, joinery and building work. We take pride in our high standards of workmanship, attention to detail and professional service. We offer free advice and a no obligation quotation service and all of our work is guaranteed & covered by public liability insurance. Call today on 07980 577 438 for a FREE no obligation quote. Daley Plastering and Building has over 64 years of experience and offers a superior service on all types of interior and exterior building, rendering and plastering for both domestic and commercial clients. Whether you need building work, rendering, joinery, plastering or insurance related property repairs, Daley Plastering and Building are your one stop solution. Our professional building services extend across the South Yorkshire area including Sheffield, Rotherham, Chesterfield, Barnsley, Doncaster and surrounding areas. No job is too big or small so request a quote today & we will get back to you with no pressure, no fuss, no problem! 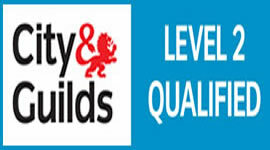 We offer free advice & a no obligation quotations upon inspection of the job. Call 07980 577 438 for a FREE no obligation quote today!